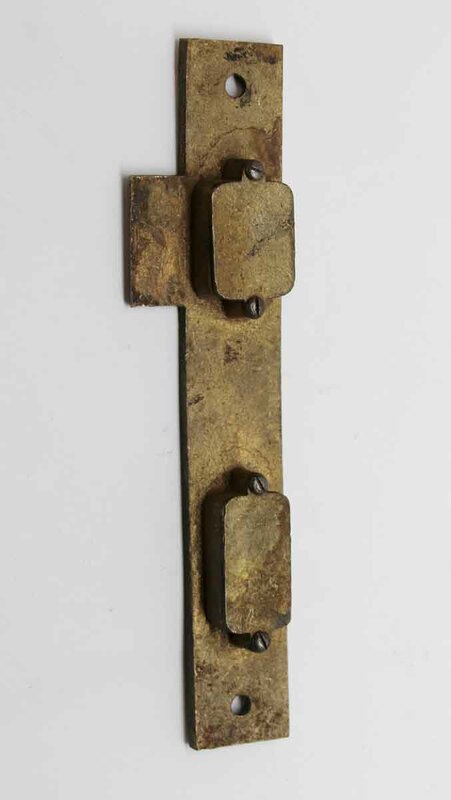 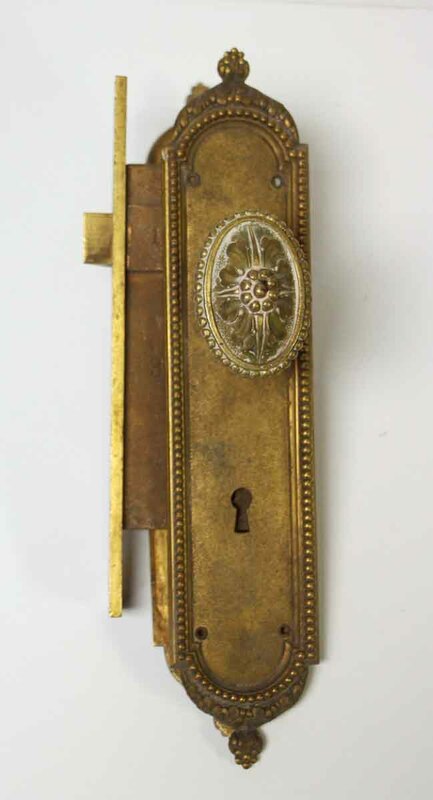 Antique lock and plate set with beaded design. 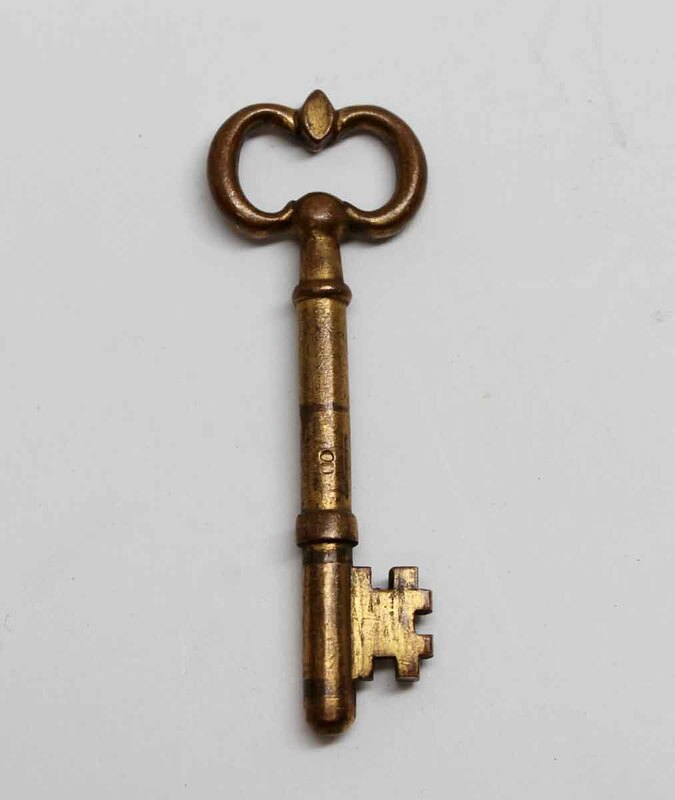 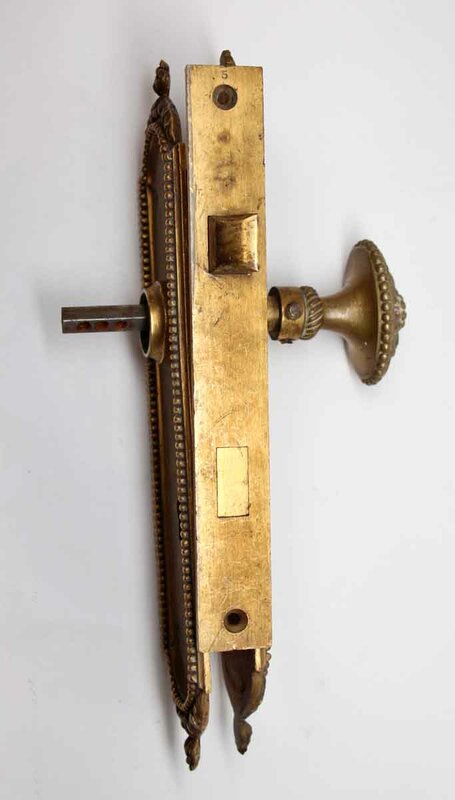 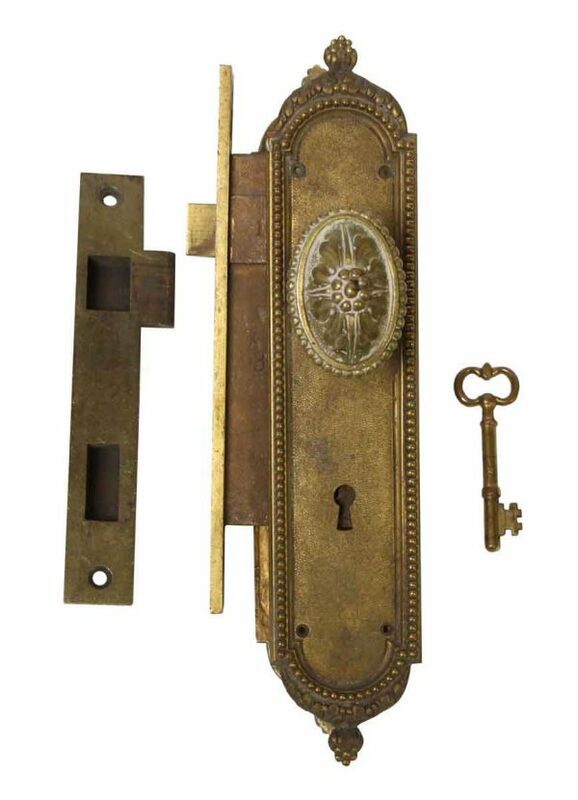 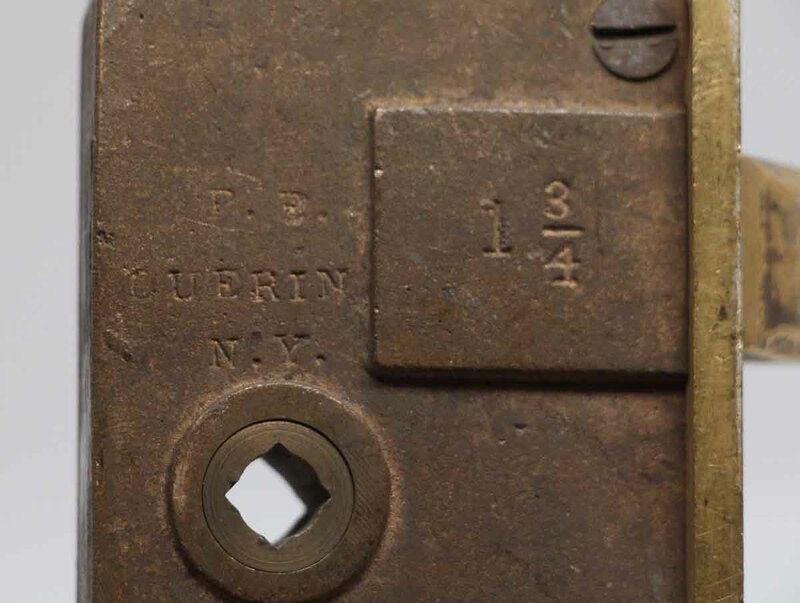 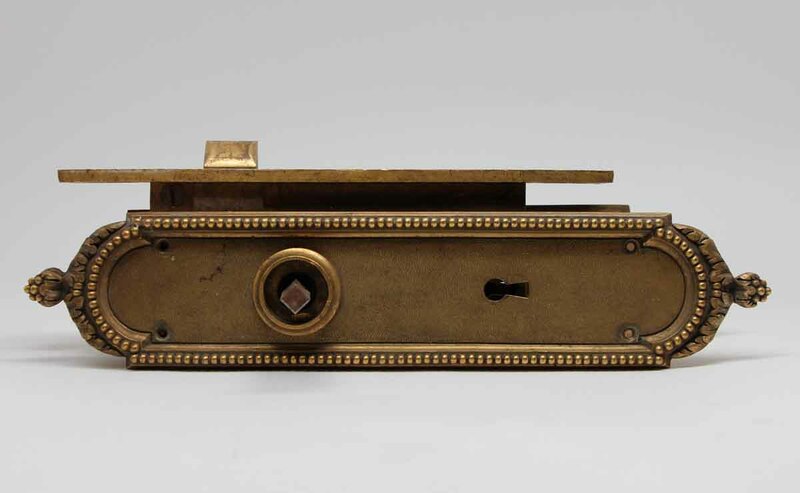 This set includes one decorative oval knob with a spindle, two keyhole back plates, a mortise lock, a strike plate and a key. 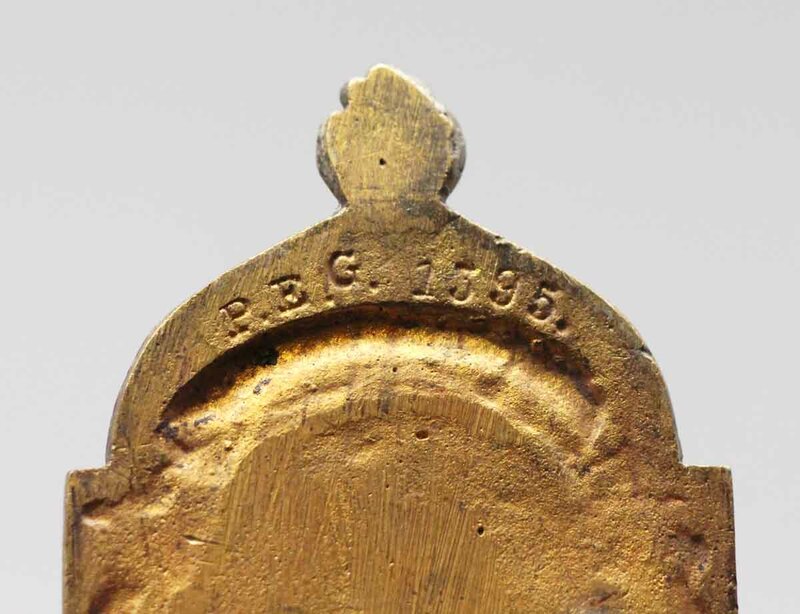 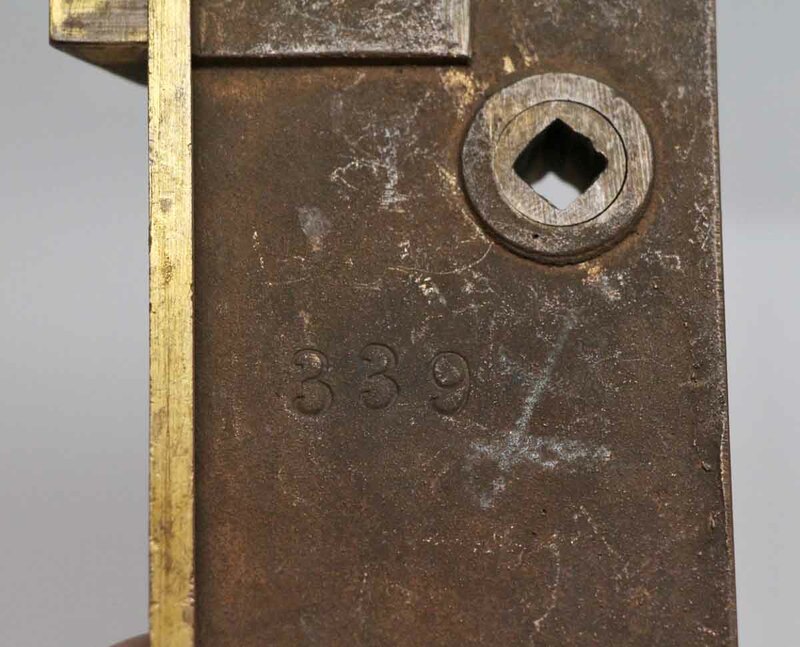 Inscribed 339.